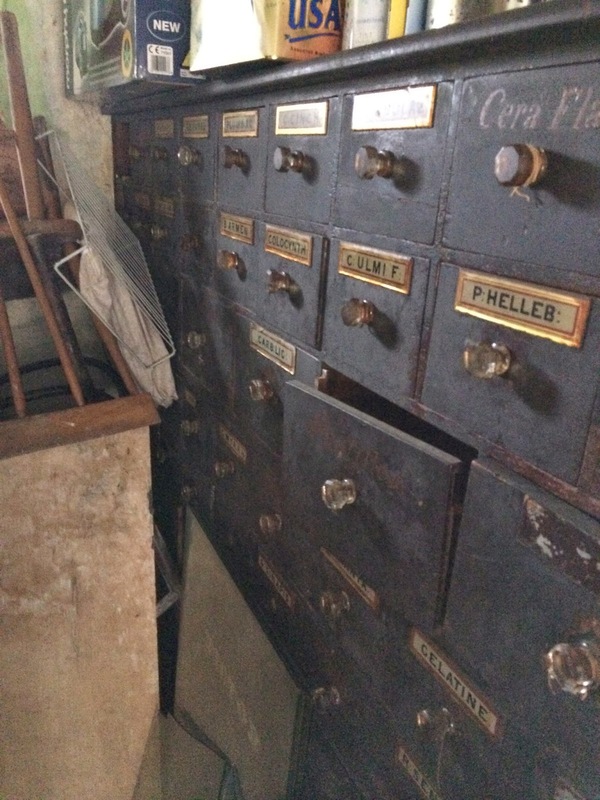 I love old furniture, the craftsmanship and durability of it, and if the piece has drawers then I'm in heaven. What is it about drawers that are so appealing? secret hiding places or the idea that we can file and order out bits and bobs? 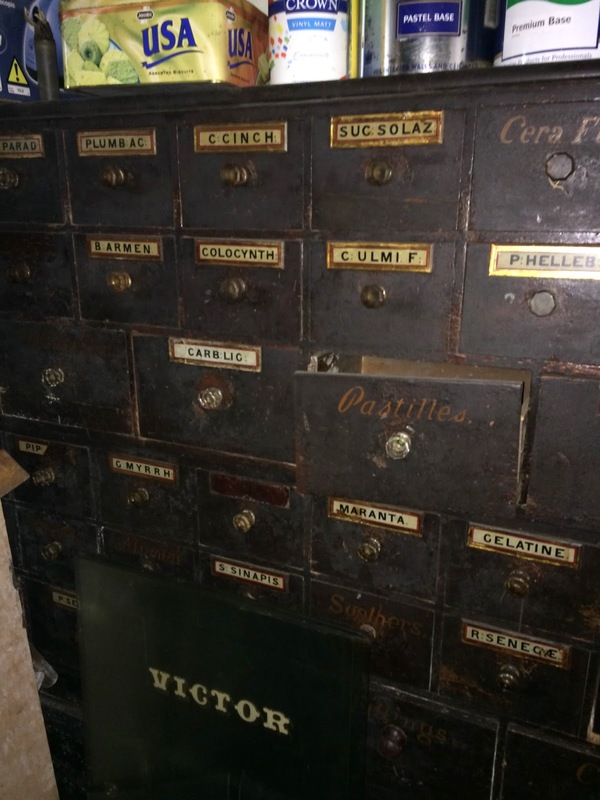 I was fortunate enough to acquire an authentic very old " drawer run" from a pharmacy. It is in need of allot of T.L.C. but I feel the effort and work will be more than worth it. Here is a picture of it in situ before I brought it home. When I got it home I realized that it is in 3 separate pieces one on top of another, so now its not so daunting because when I complete a 3rd of it I will have a finished piece, I have already decided where I am putting it in my house. I bought a little sander, paint stripper, turps and linseed oil, and watched lots of videos on you-tube, some good and others not so good so I'm ready to start. I'm hoping to clean a few drawers every week that way I'll have it done by May, I will get a local carpenter to fix the damaged pieces and I hope to put it on legs so that the drawers will be at eye level. I'll keep you posted of my progress.